Successfully Added Dazzne P2 Plus Sports Action Camera - 2K HD, 170 Degree Lens, Wi-Fi, Waterproof Case, 2 Inch TFT Screen to your Shopping Cart. Let the most exciting moments of your life go down in history in 2K HD. The Dazzne P2 Plus can help you make and share stunning footage and can also double as a car DVR. The Dazzne P2 Plus sports camera is your ultimate gadget for getting high quality action footage, whether you are an amateur or a pro. Capable of producing 2K resolution at 30 frames per second and filming 1080p content at 60 frames per second, the cam is sure to catch your wildest adventures in just the quality they deserve. Thanks to the 170 degree wide angle lens, the camera will give you great background views and you will always have all the important details in the shot. Thanks to its compact size, cycle recording and anti-shake feature, the cam can also double as a DVR for your car. It’s great to have it ready in case something happens on the road or to record the beautiful scenery around. Sharing your footage with the world will also be super easy. Thanks to Wi-Fi support, you will be able to instantly share pictures and videos with friends, family and on social media. You can also preview your footage on the 2 inch TFT display or on the big TV or computer screen through HDMI. The camera comes with waterproof housing and is waterproof for up to 20 metres – so you can always use it for filming watersports or in rainy weather. In the package, you will also find mounts and adhesives for easy use on various surfaces. 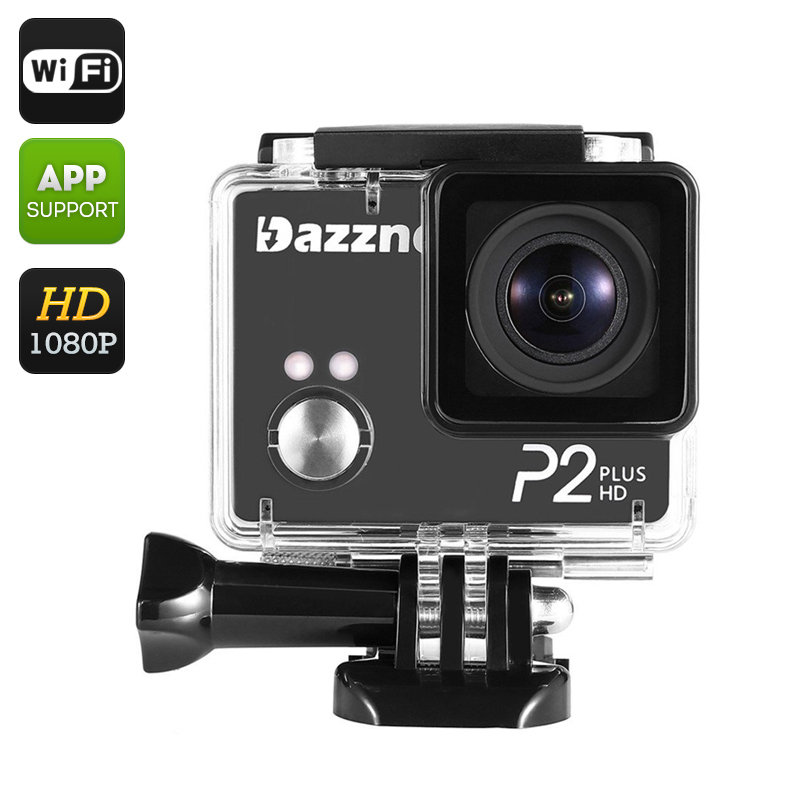 The Dazzne P2 Plus Sports Action Camera comes with a 12 months warranty. Brought to you by the leader in electronic devices as well as wholesale sports action cameras..